"My success is a direct result of the dedication I commit to real estate and my clients. I go beyond the traditional selling process by offering services that meet and exceed the needs of my clients. I have made maximizing your investment my personal business." 2016 recipient of 100 Most Influential Real Estate agents in Illinois. Over $750 million in career sales. Chicago Five Star Award 2011-2016; awarded to 3% of Chicagoland agents. Top 20 agents Chicago Magazine. 2015 @properties Rolex recipient sales award. Founder's Club, Chairman's Circle Platinum, Circle of Excellence. Real Estate Developer with extensive real estate investment knowledge. Since 1990, Sheila Brooks has been the top agent in Libertyville. With over 20 year's full-time experience, she has sold over $750 million dollars in residential real estate in Libertyville and surrounding areas. Proud recipient of many awards, including most recently named 100 Most Influential Real Estate Agents in Illinois 2016. 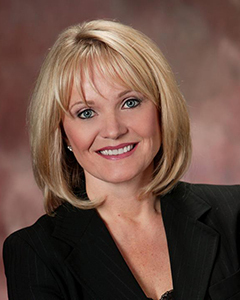 Sheila's goal is to maximize your net equity by providing you with the best personal service. When you carefully choose your realtor, you should expect an agent that is actively selling and negotiating on a daily basis. Sheila makes herself available for your needs everyday, whether it is a quick phone conversation, a meeting, a renovation opinion or a snapshot of the real estate market, she is here for you. Working for you everyday, Sheila tries to convert interest into sales through innovative advertising. She markets her listings in all the major newspapers and in Elegant Home magazine. Every house is displayed on-line at three major sites; SheilaBrooks.com, Realtor.com, and atproperties.com. Every site features professional photographs of all her listings along with detailed descriptions. In addition, Sheila owns several pop-up feature pages on realtor.com, which ensures your house receives maximum exposure on one of the most widely used website. But marketing alone doesn't sell a house; information and knowledge does! Sheila has expansive knowledge about each community. She informs all potential buyers of the strengths of a community and assists in determining which community best fits a prospective family. Having built homes and developed property, Sheila understands the value in location and amenities. She can effectively accentuate features, enhancing the value to consumers; thus, achieving maximum value for YOU! If you are considering a move or are just interested in what your house is worth, call Sheila Brooks for a free market evaluation. No Obligation, No Cost! GET RESULTS, HIRE THE BEST! "Sheila has done a wonderful job getting us through a sometimes difficult negotiation and transaction process. Once things were moving forward, she was willing to take extra efforts to resolve unexpected issues and take some of the burden off of us after we had already moved away from the area. We could not have done it without her."